It is used for Jewels and other healing used. Serpentine is most commonly green, though sometimes brown, black, or white. 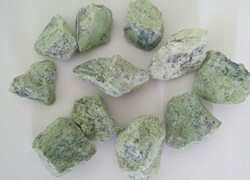 Antigorite refers to the darker green version. 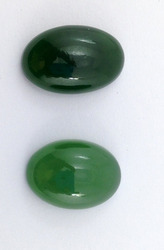 Very often referred to as New Jade, Serpentine is NOT a true Jade, but a less expensive, less known stone of green color. It sometimes displays a fibrous or greasy appearance. Sometimes called Ophiolite or Williamsite. In Hindi it is called `Zehar Mohra`. Serpentine is light green in colour. In prehistoric times it was used to make utensils. Food was prepared and eaten in those utensils. The toxicant food inside these pots used to change the colour of the vessels to yellow. Greeks still use this in their Ayurvedic medicines. A serpentine wearer can never fall prey to diseases related to stomach.